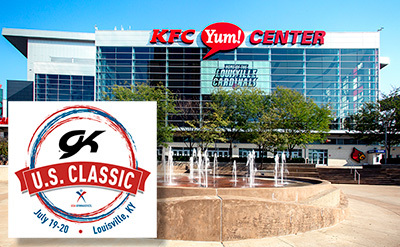 INDIANAPOLIS, April 2, 2019 – On July 20, 2019, the GK U.S. Classic will make its first appearance at the KFC Yum! Center in Louisville, Ky. The GK U.S. Classic features athletes competing on the junior and senior levels and is the last opportunity for female gymnasts to qualify for the U.S. Championships, the national championships for men’s and women’s gymnastics. Gymnasts who have already qualified to nationals use the GK U.S. Classic as a final tune-up for the U.S. Championships. In addition, the GK Hopes Championships, which features young, aspiring female gymnasts who are just below the elite level, is held the day before the GK U.S. Classic. All-session tickets that include both the GK U.S. Classic and GK Hopes Championships are on sale now. The competition schedule, which is subject to change, is: GK U.S. Classic – July 20 at 1 p.m. ET for juniors and 6:30 p.m. ET for seniors; and GK Hopes Championships, July 19 at 2:30 p.m. ET. All-session ticket packages range in price from $79-$129, plus applicable fees, and prices vary depending on the seat location. The all-session ticket includes both the junior and senior sessions for the GK U.S. Classic on July 20, as well as the GK Hopes Championships on July 19. Tickets may be purchased at the KFC Yum! Center Box Office, ticketmaster.com or charge by phone at 1-800-745-3000. For information on club sales or group tickets, call Kelsie Hall at 502.690.9029. Discounted tickets are available through local gymnastics clubs that are participating in the club ticket sales program. "For the first time ever, the 2019 GK US Classic will bring elite U.S. women's gymnastics to Louisville," said Karl F. Schmitt, Jr., president and CEO of the Louisville Sports Commission. "This is a great opportunity for Louisvillians to support Olympic-caliber athletes in one of gymnastics most exciting and popular disciplines. Fans have watched these athletes compete at the highest level, and now they can see them live at the KFC Yum! Center this summer." Set for Friday, July 19, the GK Hopes Championships is the culmination of the Hopes season. The GK Hopes Championships has two age groups, 10-11 year-olds and 12-13 year-olds. Athletes advance to the GK Hopes Championships from the Hopes Classic. The top 18 from each age group qualify to the GK Hopes Championships, assuming each athlete achieves a minimum qualifying score. Past senior Classic all-around champions include Simone Biles, 2018, 2014-15; Olivia Courtney, 2009; Mattie Larson, 2010; Ashley Priess, 2006; Aly Raisman, 2016, 2011-12; Kyla Ross, 2013; Alyona Shchennikova, 2017; Bridget Sloan, 2007; and Ashley Stott, 2008. GK Gymnastics: GK Gymnastics, an Elite Sportswear brand committed to American-made excellence and innovation, is the global leader in the gymnastics apparel industry and is recognized around the world for superior variety, quality, fit and service. GK currently offers a wide variety of women’s and men’s gymnastics apparel, including signature collections designed by 2016 Olympians Simone Biles and Laurie Hernandez. In addition to being distributed worldwide, GK products have been worn by international Olympians and World champions for over 35 years and is proud to be the official U.S. National Team competition and training apparel sponsor for USA Gymnastics. For more information about GK and Elite Sportswear, visit www.gkelite.com. Louisville Sports Commission. The Louisville Sports Commission (LSC) is a Louisville, Kentucky-based 501(c)(3) organization whose mission is to create a legacy of economic and social vitality through sports. LSC attracts and hosts sporting events and activities that have a positive economic impact on Louisville, enhance the area’s image as a premier sports destination, promote healthy lifestyles and improve the quality of life for community members of all ages. More information is available online at www.louisvillesports.org and www.facebook.com/louisvillesportscommission. About AEG Facilities. AEG Facilities is a stand-alone division of AEG, the leading sports and live entertainment company in the world. AEG and its affiliates owns, operates or consults with more than 150 of the industry’s preeminent venues worldwide, across five continents, providing complete venue management, as well as specialized programs in operations, guest services, ticketing, booking, sales and marketing. AEG Facilities also provides resources and access to other AEG-affiliated entities, including AEG Presents, one of the largest live music companies in the world, AEG Global Partnerships and AEG Real Estate, as well as such industry leading programs as AEG 1EARTH and AEG Encore to support the success of its venues across the globe. The Los Angeles-based organization owns, operates or provides services to the world’s most elite venues, including STAPLES Center and Microsoft Theater (Los Angeles, CA), Dignity Health Sports Park (Carson, CA), Sprint Center (Kansas City, MO. ), Pechanga Arena San Diego (San Diego, CA), KFC Yum! Center (Louisville, KY.), AmericanAirlines Arena (Miami, Fla.), Barclays Center (Brooklyn, N.Y.), Target Center (Minneapolis, MN), Oracle Arena and Oakland-Alameda County Coliseum (Oakland, CA), PPG Paints Arena (Pittsburgh, PA), Mercedes-Benz Arena (Shanghai, China), Cadillac Arena (Beijing, China), The O2 (London, England), Mercedes-Benz Arena (Berlin, Germany), Barclaycard Arena (Hamburg, Germany), SSE Hydro (Glasgow, UK), RAC Arena (Perth, Australia), Qudos Bank Arena and ICC (Sydney, Australia), Ericsson Globe Arena (Stockholm, Sweden), Los Angeles Convention Center (Los Angeles, Calif.), Hawaii Convention Center (Honolulu, HI), Puerto Rico Convention Center (San Juan, Puerto Rico) and the Oman Convention & Exhibition Center (Muscat, Oman). 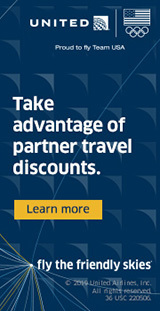 For more information, please visit aegworldwide.com.